Iranian Foreign Minister Mohammad Javad Zarif returned to his post around 30 hours after his Instagram resignation post. During this entire charade, speculations were heard across the board about the motivation and true nature of this latest episode of escalating turmoil for the mullahs’ regime in Iran. What is certain, however, is the fact that Zarif’s resignation indicates a new acceleration of crises for Tehran, especially in regards to international relations and on specific matters, including the 2015 nuclear deal and outstanding anti-money laundering/terrorism financing resolutions under the Financial Action Task Force (FATF). With the Trump administration turning up the heat on Iran, international pressures and global/regional isolation are engulfing Tehran. State-run media outlets in Iran are also acknowledging these developments that are raising eyebrows and keeping senior decision-making officials awake at night. “Another conclusion of [Zarif’s] resignation is the 2015 nuclear deal coming to an end… There are figures who are disappointedly concluding how Zarif’s resignation is tantamount to the complete failure of Hassan Rouhani’s government,” according to the state-run Fararu website. A variety of analysis have also been circling in regards to Zarif’s resignation. However, lesser voices have pinpointed the root of the entire matter. 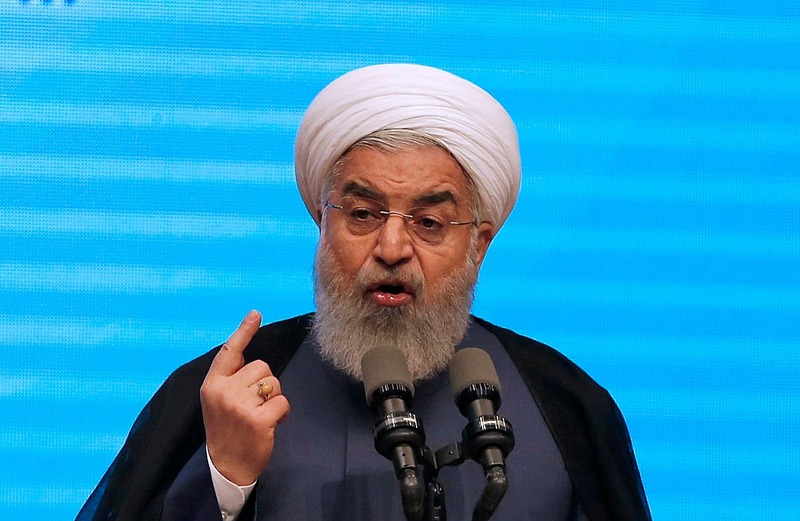 The failing “Hassan Rouhani project,” referring to the regime’s president, and deep internal crisis is a result of Tehran’s failure in preserving the nuclear deal, overcoming the impact of U.S. sanctions, and the regime’s dead-end in regards to FATF regulations. This defeat began with the Dec 2017/Jan 2018 uprising, disrupting all of the regime’s apparatus, including its foreign policy agenda. The first example was witnessed in the U.S. withdrawing from the highly flawed 2015 nuclear deal, officially known as the Joint Comprehensive Plan of Action (JCPOA). Rouhani laid it out clearly in his remarks on August 28, 2018, saying everything began on December 26, 2017, when protesters poured into the streets and chanted anti-regime slogans. This was followed with U.S. President Donald Trump withdrawing from the JCPOA, triggering the Iranian regime’s troubles, Rouhani added. Rouhani’s Vice President Eshagh Jahangiri voiced even more concerns about the regime’s future. “Super domestic challenges [ongoing protests] are impacting super global challenges, further intensifying these dilemmas,” he said. The Javan daily, known to be affiliated to the Revolutionary Guards (IRGC), added to the tempo. “Voices inside the country, and more abroad, are considering this truly low-class resignation as signs of deteriorating conditions for the [regime], and even called on the president of Iran to follow in line with his minister and resign himself!” the piece reads in part. To add insult to injury for the clerical regime in Iran, 2018 was riddled with a number of foiled terror and assassination plots in Europe. In March, Albanian authorities arrested two operatives for plotting to bomb an opposition gathering, leading to the expulsion of the regime’s ambassador several months later. In late June, another bombing plot targeting the annual Iranian opposition rally near Paris was foiled. Tens of thousands of people, along with hundreds of international dignitaries, including Trump lawyer Rudy Giuliani and former U.S. House Speaker Newt Gingrich, were also attending the event. Tehran also targeted dissidents in the Netherlands and Denmark, leading to unprecedented European Union sanctions against a branch of the regime’s Ministry of Intelligence, parallel to expelling a number of diplomats. These crises escalated even further during the Warsaw ministerial conference and a large rally held close to the site by supporters of the Iranian opposition National Council of Resistance of Iran (NCRI). Giuliani delivered a speech emphasizing on the sole alternative for the Iranian regime, symbolized in NCRI President Maryam Rajavi. NCRI supporters held another rally during the Munich Security Conference, signaling to the world the very source of Tehran’s main concerns. And Zarif, described as “charming” and a “moderate” by some, literally lost his temper in his remarks about the Iranian opposition. Watch how #Iran's FM @JZarif completely lose his temper & control when discussing Iranian opposition MEK (signalling the regime's main source of concern). Whatever the reasoning behind Zarif’s resignation, the big picture indicates a regime neck-deep in crises with no light at the end of the tunnel. International crises are escalating, with Washington intending to zero Tehran’s oil exports. Zarif may have returned to his post. Yet this entire façade portrays a regime neck-deep in turmoil, both inside the country and abroad. As the world continues to assess US President Donald Trump’s decision to pull out of Syria and significantly decrease America’s foothold in Afghanistan, Iran has troubles kicking in from all corners. With US sanctions beginning to bite significantly against the regime, the Iranian regime is finding it difficult on how to juggle these unprecedented and escalating measures, while demands of Tehran complying with international financial transparency regulations are hanging over the regime’s neck. If Iran gives in to these global measures, their support for proxy groups across Syria, Lebanon, Iraq, Yemen and beyond will be severely tampered. If the regime chooses to maintain its current stance, not only will the currently escalating economic embargoes expand, they will also gain a far more international image, with Europe, Russia and China having no choice but to distance from Iran. Following the US decision to pull out of the 2015 Iran nuclear deal, known as the Joint Comprehensive Plan of Action (JCPOA), the remaining members of the deal have emphasized on Tehran complying with standards set by the Financial Action Task Force (FATF), a Paris-based intergovernmental organization focusing on preventing money laundering and terrorism financing. While most people may have never heard of the FATF, it is described by financial crime experts as “the most powerful organization” that has gone unnoticed by the commoners. If the FATF finds a country in failure to abide by its standards, that country will face a blacklisting that has the watchdog urging members to carry out countermeasures – read sanctions – that can result in a complete prohibition of financial transactions. Banks may be required to review and shut down correspondent accounts with Iranian banks, meaning they will be prohibited from launching overseas subsidiary branches, limiting business transactions, and going as far as imposing enhanced monitoring and reporting requirements on transactions in any way involving Iran. It is certain that non-US banks and businesses exposed to the US financial system will not choose to defy Washington. All the while, the European Union, in an effort by foreign policy chief Federica Mogherini, is pushing forward with a so-called special purpose vehicle. This payment system aims to shield European companies, and those from across the world, choosing to do business with Iran, from the damning effect of US sanctions. The Iranian regime is disturbed by Europe’s delay in the SPV launching. All the while, it is hard to comprehend how this mechanism intends to work out if Tehran fails to bow before FATF demands. Many in the West have been falsifying an image of Iran having two political factions of hardliners and reformists. In fact, their perspectives only differ over how to better preserve and guarantee the regime’s survival. Back in October, Iranian Foreign Minister Mohammad Javad Zarif relayed a message from Russia and China that Tehran needs to comply with the FATF or else Moscow and Beijing will not be able to continue their business with Iran. His deputy, Abbas Araghchi, voiced the same assessment this month. This was a portrait of the so-called reformists’ viewpoint. The hardliners, on the other hand, comprising of Revolutionary Guards (IRGC) members, the top army brass, the clerical establishment and the judiciary, are kicking the can down the road on the FATF standards adoption. Fears exist that approving and implementing the FATF will unveil sensitive financial information and impede the drive to fund Iran’s proxies across the Middle East and maybe even chip the wings of the IRGC Quds Force, the unit in charge of Iran’s extraterritorial military activities. Rest assured Zarif and other “reformists” in Iran are no fans of actual change, transparency and major shifts in policy for the Iranian regime. They are only playing their roles in the overall masquerade directed by Iranian Supreme Leader Ali Khamenei, all aiming to prolong the lifespan of this regime. Iran’s regime was never able to actually benefit from the JCPOA in the long term. With the US pullout, the Iranian regime is in turmoil and the economy is going down the drain. Renewed FATF countermeasures would add insult to injury for Tehran and has the potential of fueling public protests, a phenomenon that is becoming increasingly common across Iran. The senior elite sitting on the throne in Iran are going the limits to prevent the transformation of these chants into “Death to Khamenei,” as witnessed so vividly in the December/January uprising that shook the very pillars of this regime just a year ago. – Popular protests are on the rise, threatening the regime at its core. The months ahead will be demanding and the regime will be weakening at an alarming and deadly rate. It would be naïve for any international entity, government or private, to invest in the Iranian regime overcoming these hurdles. The Joint Commission tasked to review the Iran nuclear deal ended Friday with no tangible results, Europe providing a low-temperature package to Tehran, and the regime’s mission returning him disappointed. The joint statement issued afterwards presents nearly nothing new on the nuclear deal, formally known as the Joint Comprehensive Plan of Action (JCPOA), and Iranian Foreign Minister Mohammad Javad Zarif became a no-show for the concluding press conference. These are signs of the rules of play changing, leaving the Iranian regime facing a very stiff uphill battle of stalling to kick back the inevitable. Prior to leaving for Vienna, French Foreign Minister Jean Yves Le Drian specifically warned Tehran should stop issuing threats to violate its JCPOA commitments. Iran must end these remarks aimed at preventing us from finding a solution, he added, going on to say he doubts any economic package can be provided to Tehran prior to November. The Vienna session was chaired by European Union foreign policy chief Frederica Mogherini and the foreign ministers of the United Kingdom, China, France, Germany and Russia took part in talks with Zarif. Considering the fact that details regarding the issues discussed inside the session are obviously unavailable, signs from the meeting participants outside of their talks are quite telling. All Mogherini could deliver at the finale press conference were pledges of further talks to cover economic issues and that all parties should seek methods to save the deal. Further sessions between the foreign ministers will be held if deemed necessary, she added, showing signs of futility. Adding to Zarif not attending this press conference, the fact that Mogherini only read a written statement and refused to answer any questions from reporters are also quite notable. Compiling Iran’s miseries even further is how the Vienna talks were overshadowed by the arrest of an Iranian-Belgian couple reportedly dispatched by Tehran to bomb the June 30th Iranian opposition convention near Paris. As the Joint Commission came to an end, Zarif was seen resorting to a known tactic of the Iranian regime. “Up to now no one has been able to resolve the U.S. exiting the JCPOA and this issue remains unsettled. Therefore, we have the right to take action,” he said. This may seem a significant threat to the naked eye and those not familiar with Tehran’s playbook. To provide further understanding, quite considerable are his follow-up remarks making a U-turn from Tehran’s previous position of Europe’s suggestions not fitting Iran’s demands. “The European package appears practical. We have postponed our measures in respect to requests placed by other JCPOA members, in order to become certain that our interests are preserved. We have always remained loyal to our commitments and we are so now,” he added. Back in Iran, however, the Tasnim news agency, known to be affiliated to Iran’s Revolutionary Guards (IRGC) Quds Force, published Zarif’s remarks, delivering an interesting twist to this scenario. “Zarif had specifically said prior to the Joint Commission meeting that we expect European countries to provide verifiable and applicable commitments, instead of confusing and deceiving pledges,” the piece read in part. It is understanding that all parties enter talks seeking their own interests. The final statements, however, and how senior officials express their thoughts are the source of supplemental discussions and analysis. During the negotiations Iranian President Hassan Rouhani described the European package as “disappointing.” This is a very telling insignia of how Tehran is further understanding the times have changed completely. Unlike eights years of Obama’s full-fledged appeasement, allowing all parties take advantage and leaving the Iranian people to suffer, the firm blueprint now adopted by Washington is making Europe think twice and leaving the Iranian regime standing in the rain. Rouhani’s own words explain it all. “Unfortunately, the proposed package lacked any operational solution and specific method to continue our collaboration. This was merely a series of general commitments in the ranks of previous European Union statements… Following the US’ JCPOA exit, we have been experiencing economic, banking and oil dilemmas, alongside various companies becoming doubtful regarding their investments in Iran and continuing their activities with our country,” he said. German Chancellor Angela Merkel is also known to have said her government will not be able to fully compensate for the impact of US sanctions. And when German Foreign Minister Heiko Maas says “we are facing difficult circumstances,” how can we assume any country would risk their economic connections with the United States for the sake of Iran during such circumstances? The Europeans are understanding how serious Washington is in its intention of escalating this economic war against the Iranian regime, especially with the objective of zeroing Tehran’s oil exports. Furthermore, with US Secretary of State Mike Pompeo emphasizing sanctions on North Korea will continue until Pyongyang’s denuclearization is completely verified, rest assured Iran and all its counterparts are getting the message. The road ahead will only become steeper for Tehran and domestically, the Iranian people will most definitely increase their demands and nationwide protests for democratic regime change. We have recently witnessed an increasing effort by America’s European partners, specifically France and Germany, aimed at convincing US President Donald Trump to not abandon ship on the Iran nuclear deal. Debate over the accord, formally known as the Joint Comprehensive Plan of Action (JCPOA), there has been a neglect – playing into Tehran’s interests – of how the international community can bring the Iranian regime to its knees, benefiting the Iranian people significantly. While pressuring Tehran over the JCPOA is necessary, the West can impose even further pressure on the oppressive regime by placing its crosshairs on the country’s political situation, its ailing economy and how to support the protesting Iranian population. Visits payed to Washington by French President Emmanuel Macron and German Chancellor Angela Merkel have apparently made Trump all the more determined on his tough stance against Tehran. Macron delivered a severe blow to the Iranian regime’s hopes of maybe Paris being able to convince Washington’s Trump through a slate of likely meaningless short-term concessions in order to maintain the current JCPOA framework intact. With Macron saying he believes Trump will exit the JCPOA by his May 12th deadline, all hopes were lost in Tehran and the regime’s internal disputes flared. This significant development left diminutive expectation from Merkel’s visit – described as cold – and may even bring an end to all speculations about a possible visit by UK Prime Minister Theresa May. Iranian regime must be preparing for the worst in regards to the JCPOA, especially after France and the UK joined the US in a coalition to deliver a military strike – and a more important political message – in Syria to the Bashar Assad regime and his allies, Iran and Russia. Iran’s regime has become an expert in boasting and exaggerating its influence across the region, all aimed at cloaking escalating crises back home. In the past several weeks Iran’s currency, the rial, has witnessed a 25 percent value nosedive against the US dollar. Three weeks ago, Tehran fixed exchange rates at an official amount of 42,000 rials to the dollar, hoping to reign in the mayday plunge and control the market. Considering the current street value (black-market) rial price of 60,000 to the dollar, people are finding their means to purchase and the regime’s efforts are vividly failing. Largely gone unnoticed by mainstream media is the continuous failure of one financial institution after another in Iran. Numerous such firms, all linked to the ruling regime and related entities, are refusing to return people’s savings, resulting in ongoing protests seen in cities such as Tehran, Mashhad, Ahvaz, Rasht and so forth. Iran’s economic decline is rooted in two spectacles. Unbridled “corruption” and “mismanagement” are the groomed descriptions of plundering people’s belongings in broad daylight. Iran’s Revolutionary Guard (IRGC) now has a firm grip over key industries and businesses, including a long list of ports in Iran’s southern coastlines where billions of goods are imported without any taxes. This has resulted in a large number of production lines to fail. Second, the Iranian regime’s forty year “Exporting Revolution” motto comes with a cost and the population has been paying the price. The fact that Bashar Assad remains in power in Syria, the Lebanese Hezbollah continues to wreak havoc and Houthi militias continue to make life a living hell in Yemen are all due to the financial support provided by Iran. As billions are poured out of the country, millions are bearing the burden inside Iran. Around 50 million of Iran’s 80 million population is living under the poverty line, all due to incorrect economic policies, according to the Iranian regime’s own semi-official Tasnim news agency, affiliated to the IRGC Quds Force. This poses a grave risk for the Iranian regime, especially considering the fact that the 2017/2018 uprising began with the lower class, having nothing to lose, revolting in over 140 cities across the country. 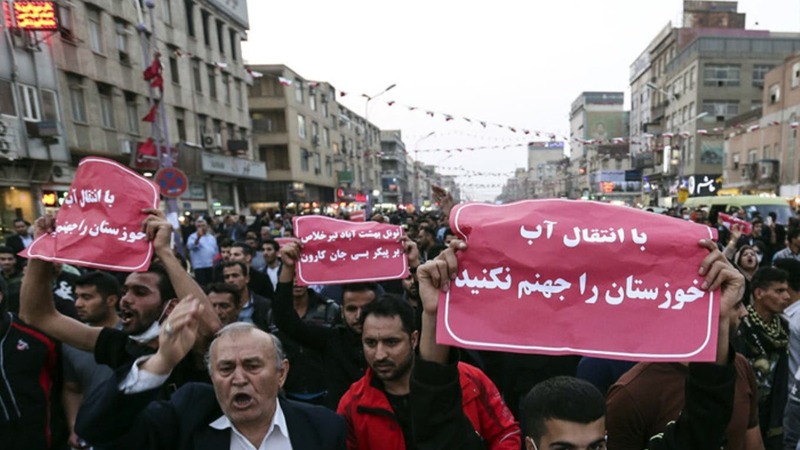 Signs indicate Iran has failed to remedy the causes of that uprising. With international isolation increasing – especially after a peace agreement in the Korean Peninsula – Tehran must be evaluating how the world will have high expectations from its regime to forgo its dangerous belligerences. Failing to do so will have Iran’s poverty-stricken majority up and revolting in the not so distant future. Adding insult to injury for Tehran are the Trump administration’s new wave of sanctions and the increasingly likely setting of Trump’s JCPOA departure. This initiative has the potential of reviving crippling sanctions. The mere notion of such a development is already discouraging foreign investor from Iran and boosting uncertainty. Firms such as France’s Total and America’s Boeing will most likely think twice about investing in an insecure environment. While Europe will obviously pursue its own interests and objectives in regards to sanctions against Iran, unilateral US sanctions are fully capable of having a damning effect on the Iranian regime and the IRGC. This would actually benefit Iran’s revolting populace. Should Trump live up to his promise of withdrawing from the JCPOA, the U.S. will enjoy an unprecedented opportunity to significantly escalate pressure on the Iranian regime. Considering decades of failed Western policies vis-à-vis Tehran, and the Iranian people suffering as a result, it is high time to adopt the right strategy. The People’s Mojahedin Organization of Iran (PMOI/MEK) is clearly Iran’s main and only organized opposition entity advocating a firm policy against the Iranian regime for four decades. Following the recent uproar in protests, Iran’s Supreme Leader Ali Khamenei mentioned the PMOI/MEK, clearly saying their cases are different. If Tehran is specifically addressing the main source of its concerns, shouldn’t the international community be investing on this very organization to bring about meaningful change benefiting the Iranian people, all nations across the Middle East and the world over? Recent developments are indicating a tough road ahead for Iran in what is promising to be a tumultuous summer. U.S. President Donald Trump sacked his top diplomat, Rex Tillerson, on March 13, citing specifically differences regarding the Iran nuclear deal. CIA Director Mike Pompeo, nominated to lead the State Department, favors a firm approach confronting Tehran’s regional policy and is a major critic of the Joint Comprehensive Plan of Action (JCPOA), as the Iran accord is formally known. Former US ambassador to the United Nations John Bolton, a strong critic of Tehran, is now Trump’s National Security Advisor. Prior to this, French Foreign Minister Jean-Yves Le Drian visited Iran on March 5, expressing concerns over Tehran’s ballistic missile program and Middle East belligerence. This portrayed the JCPOA’s fragile nature and Tehran’s failure to use Europe as a shield against the Trump administration. Couple all this with escalating Iranian protests across the country, and the regime’s recent intention of filtering Telegram, a popular messaging app used by over 40 million people, and you have a recipe for disaster from Tehran’s perspective. Paving the path for Iran’s miseries, the Financial Action Task Force issued its latest report in February placing a June ultimatum for Tehran to input significant changes in its banking system and end financial relations with terrorist groups through nine specific procedures. As Iran remains blacklisted in the financial market, investors are very hesitant over launching any meaningful project with the clerical regime. Iran’s economic bankruptcy, parallel to widespread protests by people from all walks of life that continue as we speak, provide a very clear understanding about Tehran’s chief crises. The groundworks of such circumstances are vivid in two very specific JCPOA weak points, from Iran’s perspective. While Europe lifted many sanctions, similar steps imposed by the U.S. remained considering how Congress disagreed with the Obama administration’s engagement with Tehran. Obama used his executive authority to suspend nuclear sanctions, while non-nuclear sanctions imposed by the U.S., blocking America’s financial system to Iran. As a result, European banks are unable to get involved in dollar transactions with Iran. This, again, leaves the JCPOA very fragile and allows Trump to annul the entire accord while financial & non-nuclear sanctions remain intact. Failing to comprehend the impact, Iran was boasting about Western companies lining up for business. This honeymoon ended quickly as Tehran came to understand its grave underestimation. Former U.S. secretary of state John Kerry began receiving calls from his Iranian counterpart Mohammad Javad Zarif, seeking measures to set aside banking sanctions. In March 2016, Mohammad Nahavandian, then chief of staff of Iranian President Hassan Rouhani, travelled to London warning of unaccountable results if the JCPOA fails to resolve Tehran’s economic dilemmas. Maybe he was referring to the Iranian uprising where the poor flooded the streets and raised demands for regime change. Iran’s economic predicaments continue as we speak, especially with the Obama years ending and the Trump administration executing sweeping changes in U.S. policy vis-à-vis Iran. Banks and companies across the globe, especially Europe, are showing cold feet in engaging with this regime. Speaking at London’s Chatham House back in February, Iranian Deputy Foreign Minister Abbas Araghchi vividly voiced his regime’s concerns, complaining how Tehran is not fully benefiting from the JCPOA and describing the atmosphere as “destructive” resulting from Washington’s “confusion” regarding the nuclear pact’s future. Iran also miscalculated the JCPOA as a green light by the international community to deploy the Lebanese Hezbollah and dozens of other Revolutionary Guards (IRGC) Quds Force-linked militia to not only massacre the Syrian people, but enjoy military presence in Iraq, Yemen and Lebanon. From 2015 onward Tehran is significantly developing its ballistic missile arsenal, providing such an inventory to the Houthis in Yemen to target Saudi Arabia. All the while, Iranian officials continue boasting about Hezbollah’s missile capabilities. In response, the U.S. Congress is continuously adopting sanctions targeting the Iranian regime’s belligerence, especially blacklisting the IRGC. Another expressively sweeping change that proved Iran’s calculations completely came as Europe began distancing from Tehran. Iran’s JCPOA dream story is culminating, realizing Europe will never choose business with this regime over its strategic economic relations with the U.S.
European officials went to great lengths to have Iran curb its ballistic missile program and regional meddling in the face of Trump’s threat to exit the JCPOA. This resulted in Iranian Supreme Leader Ali Khamenei and other senior officials adopting strong positions against France, expressing their discontent of Europe siding with the U.S.
“If we have maintained our missile range to 2,000 kilometers, it is not due to technological limitations… we will increase our missile reach to the extent which we feel threatened,” said IRGC deputy Hossein Salami in a state TV interview on November 26. While international isolation creates mounting quandaries for Iran, domestic unrest has forever been Tehran’s ultimate concern. To add insult to injury, Iran’s ongoing protests and uprising is under the navigation of the opposition People’s Mojahedin Organization of Iran (PMOI/MEK). This coalition has for four decades been the main target of the Iranian regime’s onslaught. This is not a call to war. Quite the contrary. The world should acknowledge Iran’s current wars in Syria and Yemen, conveniently gone neglected by mainstream media and appeasement supporters. The international community can best support the Iranian people’s uprising by crippling the regime’s entities, such as the Central Bank and IRGC. This goes analogous to recognizing the Iranian people’s organized resistance for regime change, symbolized in the PMOI/MEK. This spring is already promising a stormy summer for the Iranian regime and a year of historical developments for the Iranian people. Why is Iran’s currency nosediving? From late July of last year Iran’s currency, the rial, has lost 40 percent of its value against the United States dollar. This is considered a national catastrophe by many analysts. What is the reason and roots of this significant crisis? All these are correct. A closer look, however, leads us to this conclusion that these developments have formulated during the past two years. All the while, the rial’s nosedive began immediately after the mullahs’ regime took the reigns of power in 1979. Graph shows toman (10rial)/dollar exchange from 1971 to Dec 10, 2017. This is #Iran under the mullahs' regime & a result of their destructive economic policies that has also left millions living in #poverty. Conclusion: The events of the past two years cannot be the root cause of the rial’s nosedive. Iran’s corrupt infrastructure and economic foundations are the main origin of this epidemy. A country’s economic structure is based on a specific infrastructure. What is the Iranian regime’s economy founded upon? None of the above. The Iranian regime’s economic foundation is extremely corrupt, heavily based on massive smuggling and large-scale imports. This is blocking “all paths for any efforts to heal Iran’s economy,” according to Radio France Internationale. Of course, political developments, such as the unknown future of the JCPOA and … will render spontaneous falls in the rial’s value. However, we must keep in mind the root reason, being Iran’s deeply corrupt economic structure (or lack thereof). The Iranian regime, in nature, belongs to a time-period dating back to the Middle Ages, leaving it without any capacity to generate necessary changes. “The selection of John Bolton as the U.S. National Security Advisor is aimed at increasing pressures & aggressive policies against Iran in the coming days. “Bolton is one of the planners of toppling the Islamic Republic Of Iran. “Down this path Bolton is supporting the [Iranian opposition People’s Mojahedin Organization of Iran (PMOI/MEK)]. “We are also witnessing the coming of a new U.S. Secretary of State and a new sanctions bill against Iran in the U.S. Congress. “Bolton has time and again… sought regime change in Iran and is known for his strong positions against the Islamic republic. “The National Security Advisor is an important post in the White House and plays a significant role in policy-making & administration decisions in regards to U.S. foreign policy and military strategy. “Donald Trump and H.R. McMaster were talking about his resignation for some time. They pushed this development forward to have the new team in place sooner. “[Bolton], now in the main decision-making entity defining U.S. strategy, publicly supports regime change in Iran. “Supporters of aggressive action against Iran’s regime admire Bolton for his frankness. Monday’s Tehran visit by French Foreign Minister Jean-Yves Le Drian is startling a wide variety of responses, especially from inside Iran. Kayhan daily, known as the mouthpiece of Iranian Supreme Leader Ali Khamenei, ran a piece titled “French Foreign Minister heading to Tehran with a JCPOA-2 hat,” using the acronym for the Iran nuclear deal, Joint Comprehensive Plan of Action, while describing Paris’ efforts to impose further setbacks upon Iran’s regime. This is what concerns Tehran the most, being crystal clear the Europeans would never side with Iran over the U.S.
Seeking to raise the stakes prior Le Drian’s visit, Tehran on Monday announced it enjoys the capability of producing higher enriched uranium within two days if Washington’s abandons ship on the 2015 nuclear deal between. “If America pulls out of the deal … Iran could resume its 20 percent uranium enrichment in less than 48 hours,” Iran’s Atomic Energy Organization spokesman Behrouz Kamalvandi told al-Alam TV. Iranian Foreign Ministry spokesman Bahram Ghasemi said Le Drian will be merely involved in discussions and there are no negotiations involved. France’s official position says otherwise. “Iran’s ballistic missile program, with a range of a few thousand kilometers, is definitely non-consistent with United Nations Security Council resolutions and goes beyond Iran’s need to defend its borders,” Le Drian said in an interview with the French daily Le Journal du Dimanche. “If this dilemma is not resolved directly, Iran will be facing the threat of new sanctions,” he added. France is leading Europe in talks with Iran and it is very likely Le Drian discussed with Iran’s officials the conditions raised by U.S. President Donald Trump. “The U.S. has asked France to lay Trump’s conditions before Iran. European countries have confirmed these conditions,” according to the semi-officials Fars news agency, said to be linked to Iran’s Revolutionary Guards (IRGC). In his meeting with Le Drian, Iranian President Hassan Rouhani’s remarks vividly displayed Tehran’s deep concerns about the JCPOA’s future. “The JCPOA is a litmus test for all parties and its dismantling will bring disappointment for everyone,” Rouhani said. We must also take into consideration the timing of Le Drian’s visit, coming prior to Israeli Prime Minister Benjamin Netanyahu’s visit to Washington, in which Iran was the main issue of talks. Two weeks later Saudi Crown Prince Mohamed bin Salman to Washington where Iran’s regional meddling will most likely be discussed. Tehran’s role in Syria has raised major concerns. “…if we don’t push Iran out and come up with an agreement in Geneva that gives Syria back to the Syrians. This war never ends. So, Mr. President it’s just not about defeating ISIL. If you leave Syria in the hands of Russia and the Iranians this war never ends,” said Senator Lindsey Graham in a recent interview. Finally, Trump will be hosting his French counterpart Emmanuel Macron, as the leader of Europe in regards to the JCPOA. As a result, the objective of Le Drian’s visit to Iran can be described as placing Trump’s significant pressures and imposing his conditions. Tehran will most definitely be concerned, knowing all meetings will evolve in Trump’s talks with Macron in Washington. Two weeks later Trump will announce his decision on the JCPOA. This leaves Tehran before a particular dilemma. Succumbing to the new conditions set to preserve the JCPOA will deliver a strategic setback, being, to say the least, significantly curbing its ballistic missile program and Middle East influence. Iran considers these two pillars its pride and regional strategy depth. Choosing to reject Washington’s conditions, however, will most certainly lead to the return of crippling sanctions for Tehran. Add to this dilemma the ongoing protest staged by Iranians across the country. This goes alongside calls for further nationwide protests next Tuesday, marking the country’s annual “Fire Festivities” held on the last Tuesday night of the Iranian calendar before inviting in the new year. Iranian opposition People’s Mojahedin Organization of Iran (PMOI/MEK) has issued a call for a nationwide uprising to mark this celebration. Senior Iranian officials have acknowledged how the PMOI/MEK organized the recent flare of protests across the country. Tehran’s troubles are only beginning. The fact that this regime is facing a whirlwind of domestic and foreign crises goes beyond doubt. 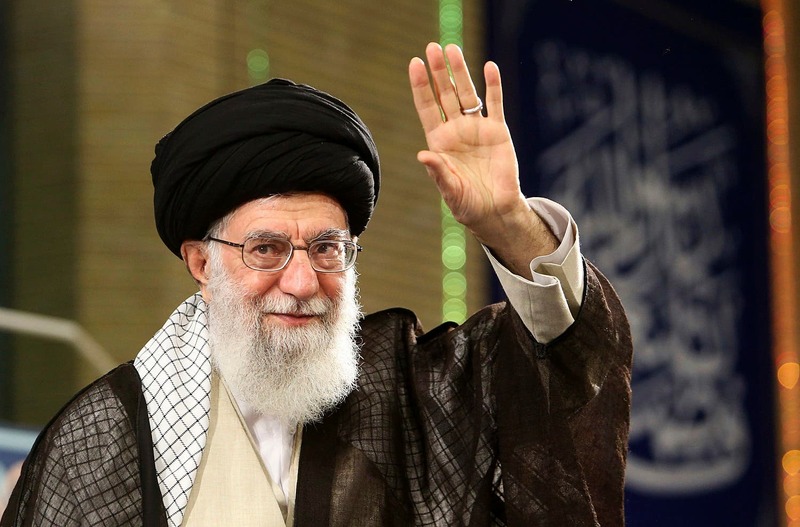 While Tehran’s state media boasts massive support among the populace, remarks heard recently from Iranian Supreme Leader Ali Khamenei portray a canvas of impasse, a weak entity and the road ahead being uphill, to say the least. He is acknowledging the growing scope of systematic corruption riddling the ruling apparatus, and his regime’s weakness in tackling such a demanding issue. Khamenei’s words also indicate Iran’s population will no longer tolerate discrimination, injustice and state-sponsored corruption. Interesting is how in his latest remarks Khamenei refuses to discuss the 120-day ultimatum issued by U.S. President Donald Trump over the fate of the Iran nuclear deal, known as the Joint Comprehensive Plan of Action. This further shows his weak hand, especially since Europe is cooperating with Washington’s demands of taking on Tehran’s meddling across the Middle East and ballistic missile program. Khamenei’s silence is very meaningful and will be devastating for his regime in the near future. Political and economic corruption is now considered institutionalized in Iran’s governing systems, ranking this country as one of the world’s most corrupts states. Obviously, economic corruption is merely one result of political corruption, and after 40 years we have come to learn the very subject of corruption has become an inseparable aspect of Iran’s regime. Iranian Vice President Es’hagh Jahangiri says “termite corruption” is infecting every essence of Iran’s political and economic infrastructure, while Ahmad Tavakoli, head of Iran’s Expediency Council goes further. “Unfortunately, corruption has become systematic. If measures are not taken, corruption will most definitely bring an end to the Islamic republic,” he adds, cited by the semi-official Tasnim news agency. Once known for its chest-thumping in refusing to discuss its role in the internal affairs of countries across the Middle East and the so-called “defensive” ballistic missile program, Iran, sensing the changing times, is now signaling steps back in this regard. Although these remarks may seem rather harsh, those familiar with the language used by Iranian officials understand this is saber-rattling to save face, knowing discussions over “other issues” will be grueling and far more demanding than anything Tehran experienced during the Obama years. Obvious is how Iran’s hardliners fiercely oppose such talks, yet all parties of this factionalized regime are realizing there is no good option ahead, and only choosing from bad and worse. With Trump providing a last chance for what he describes as “the worst deal ever,” the Europe trio of Britain, France and Germany, all seeking to preserve the JCPOA due to their economic interests in Iran, are scrambling to blueprint a plan addressing Trump’s concerns over Tehran’s destructive role in the Middle East and ballistic missile drive. Despite Araqchi’s claim of there being no link between the Iran nuclear accord and its influence across the region, new evidence shows the U.S. government tracing portions of the $1.7 billion released by the Obama administration to Tehran – as part of the JCPOA signing – has found its way into the hands of Iran-supported terrorists. Informed sources are indicating how Tehran has been allocating such funds to pay members of the Lebanese Hezbollah, known as Iran’s main proxy group and provide the budget needed for the Quds Force, the Revolutionary Guards element described as Iran’s leading foreign intelligence arm involved also in covert action. The Houthis of Yemen should also be sending their gratitude to Team Obama as evidence shows they, too, have received dividends of the notorious cash load airlifted to Iran. Tehran is using the Houthis to exert pressure on Riyadh from its own backyard. This is not good news for Iran as such findings will most likely further convince Trump in his effort against the JCPOA. As heard from Araqchi, Tehran understands perfectly well the scrapping of this accord and the return of crippling sanctions, coupled with ongoing domestic protests, are a recipe for disaster. In another sign of the Trump administration’s determination to take on the issue of Iran’s belligerence, U.S. Secretary of State Rex Tillerson is in the region, paying visits to Jordan, Turkey, Lebanon, Egypt and Kuwait. Iran is most definitely a major topic of his discussions and Tehran is bracing for possibly a new onslaught of regional pressure, similar to that of Europe, making costing demands. With Iran protests taking a toll on the regime – as seen on Sunday with many cities witnessing people boycotting pro-regime rallies and protesters hitting the streets at night – and increasing word of banks going bankrupt, the months ahead look grim for Iran. This regime understands better than anyone that the public’s increasing wrath will be demanding, and it is using the JCPOA, its regional influence and ballistic missile program to bargain with the international community. The difference between now and 2015 is that the White House is not at all fond of Iran’s bellicosity, and more importantly, the Iranian people are making serious demands of regime change.